The song inspired by Matthew Prevost is available here as a free download. The lyrics (scroll down) will make more sense with this brief explanation. 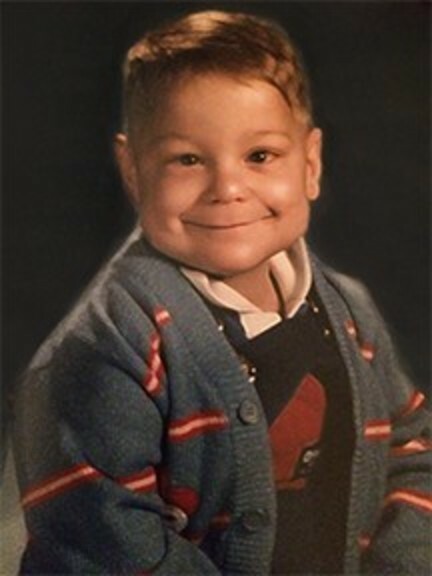 Matthew passed away 25 years ago this December 7th. At one point he had asked his parents to plant a rose bush and set a statue of the Blessed Virgin mary next to it outside his bedroom window so he could see both from his room. Roses bloom on that rose bush every December since Matthew's death. 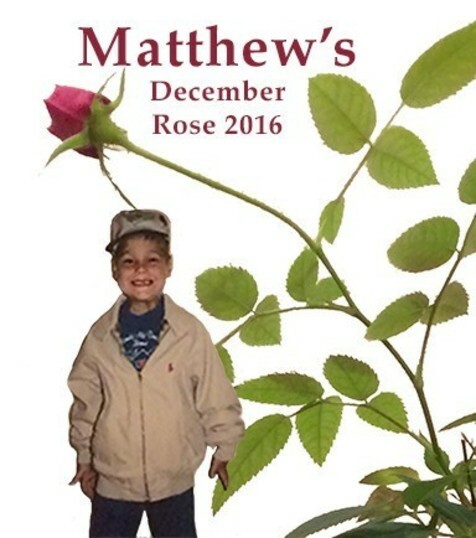 As time goes on, we plan share more about Matthew here as well as other stories of ways that mothers and fathers have found peace after the loss of their child. It was a cold winter morning. An NICU (neonatal intensive care unit) nurse was called down to Labor and Delivery for an infant demise. A young woman on cocaine was giving birth to a 24-week infant. The nurse stood by quietly waiting for the woman’s body to complete its work. This was one of the duties she detested the most—an infant death. The infant quietly entered the world. When the nurse saw his loving brown eyes look up at her she quickly resuscitated him and called for help. That morning God gave us a Gift of Life—his name was Matthew and he would become our beloved son. He weighed 1 pound 9 ounces and was a mere 12 inches long. We did not spend those first 15 months with Matthew. He spent his first four and one-half months in the NICU struggling for life. Each day was a miracle. Doctors were cautious. If he could survive his first winter—maybe he would make it. He future was a question mark. His nurses and doctors became his family. His fighting spirit and smile were contagious and soon he had both doctors and nurses cheering him on. During those first 4 months he was on 21 different medications, he had a collapsed lung, meconium peritonitis, pneumonia, hypertension, bronchopulmonary dysplasia and a fractured femur from rickets. He received many blood transfusions. Through all this Matthew touched lives. Anyone who came in contact with this little baby boy was changed. It was hard to be down when you were with Matthew. His small body fought for life each day. His wonderful spirit spread joy to all who cared for him. He had crossed his first hurdle and was soon discharged to a foster home until an adoptive home was found. One year later he would be home with us in his forever home. Our answer to prayer. Our gift of life—our son, Matthew Ronald Prevost. Where we can see you smile once more. Till we embrace again, till we embrace again? you used to hold me in my sadness? Well, I'm holding you right now. I wait in Paradise for you - with a hundred more.